Note: eSIM can be removable or soldered into the device at time of manufacturing. The key driver for the introduction of eSIM technology is the rapid rise of connected cars (e.g., BMW, Toyota, ..etc), smart utility meters (e.g., smart meters for electricity, water, ..etc), and consumer electronics (wearable gadgets like smartwatches and fitness tracker) with cellular connectivity. Miniaturization: wearable gadgets are miniaturized for comfort, portability and aesthetic. Since eSIM can be made small in size, it suits well with wearable gadgets. Ruggedness: consumer electronics, especially wearable gadgets are expected to stand up to a variety of demanding environmental conditions, including shock, humidity, sweat and so on. Thus, eSIM is a perfect answer because it can be soldered into the gadget. Integrity: allowing consumer to crack open a device case to replace a SIM would jeopardize the integrity of the device and create unpleasant challenge for the warranty and repair department. 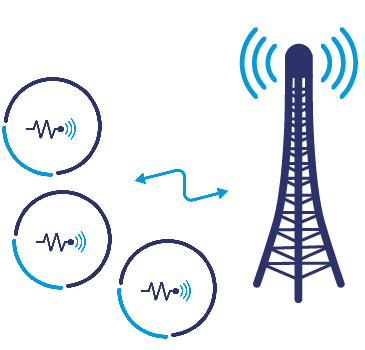 Independent Connectivity: without physically accessing the SIM, consumer can provision and change service providers over the air (OTA). This provides a global, operator-independent connectivity solution, which allows consumer to select the best subscription options (e.g., subscription cost, coverage, and service level). Such freedom is important for a wide range of upcoming Internet of Things (IoT) use cases. Who is Behind Embedded SIM? 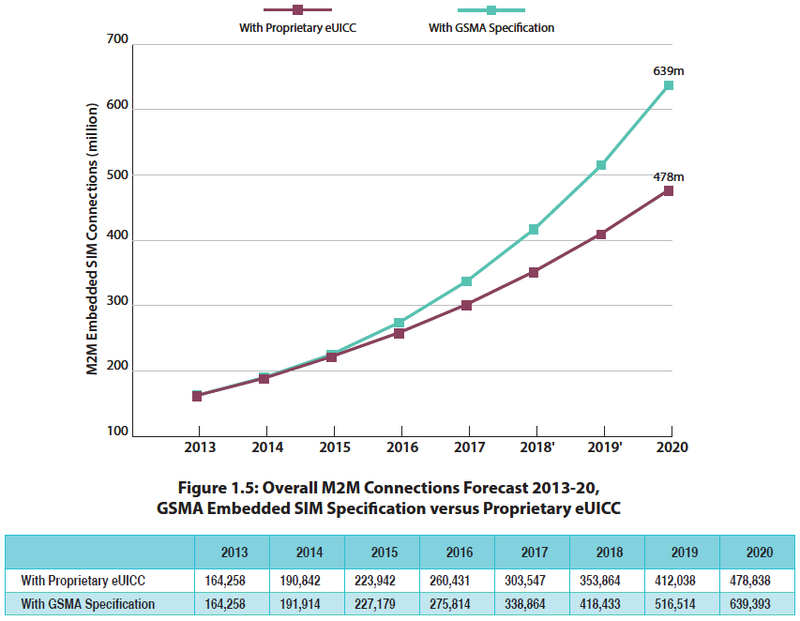 The GSM Association (GSMA) played an instrumental role in establishing cross-industry collaboration among global mobile operators, mobile device manufacturers, and SIM vendors to create a global and interoperable specification that allows consumer to remotely order and install mobile subscriptions to their devices and connect them securely to mobile networks. 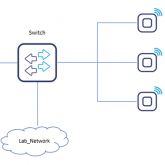 The specification focuses on eSIM Architecture, Remote SIM Provisioning (RSP) architecture, and security functions within the RSP architecture. 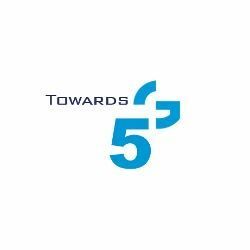 The specification is now supported by the world’s largest mobile operators, including AT&T, Deutsche Telekom, Etisalat, NTT DOCOMO, Orange, Rogers, Telefonica, Telenor, Verizon, Vodafone, … etc. It is also supported by major device manufacturers, including Apple, Samsung, Huawei, LG, Sony, … etc. Major SIM and chipset vendors (e.g., Gemalto, Giesecke & Devrient, Oberthur, Qualcomm, STMicroelectronics, … etc.) are on board as well. Further, the specification is supported by the telecom equipment manufacturer Nokia and the security provider Trustonic. In addition to architectural differences, the main difference between M2M and Consumer is the right to change subscription. There are two GSM Technical Specifications, one for Consumer Devices: “Document SGP.22”, Version 2.0, October 14, 2016  and one for M2M: “Document SGP.02”, Version 3.1, May 27, 2016 . Indeed, the eSIM technology is a Consumer Game Changer and one of the last missing pieces of the puzzle required for faster deployment and adoption of M2M connectivity technologies. 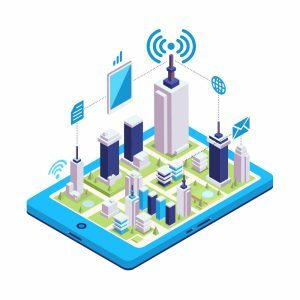 The other pieces (e.g., release of narrowband IoT (NB-IoT) specifications, availability of low-cost M2M modules, active M2M developer community, and improved awareness among target users about new use cases and commercial potential) are falling into place . 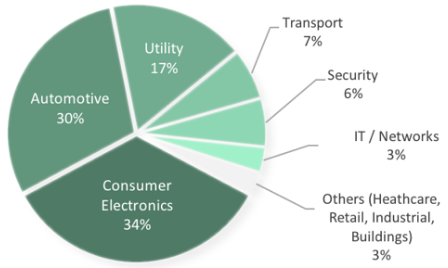 The pie chart shows GSMA projection for the distribution of eSIM-enabled devices among relevant sectors by 2020. There are plenty of opportunities for all stakeholders. 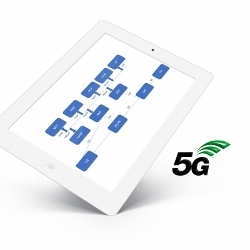 Like they do in Mobile Virtual Network Operator (MVNO) space, operators will still have the power to control who (which device) can connect to their network . However, OEM players (car manufacturers, smart utilities manufacturers, wearables and Mobile handset manufacturers, ..etc) can arrange agreement (e.g., shared cost of the production of eSIM, direct cash, ..etc) with selected MNOs as a reward for including them in a pre-defined list of MNOs that their devices support. 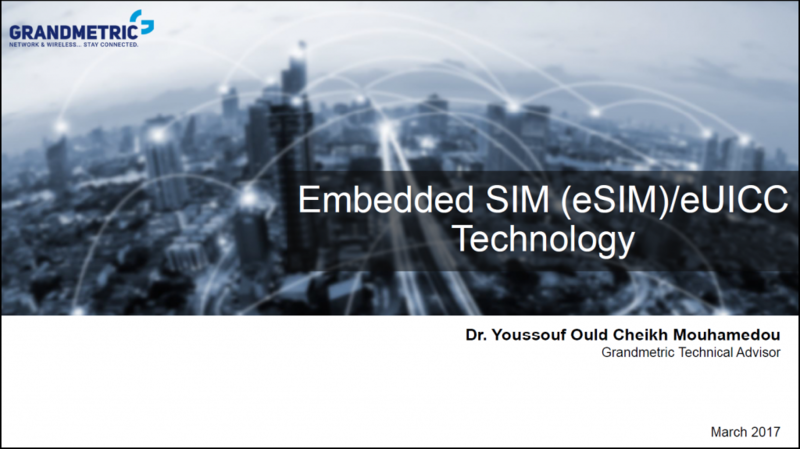 The eSIM technology is explained in more details in the following presentation. Declan Lonergan, “eSIM should facilitate new mobile and IoT business models”, 451 Research, November 2, 2016.